BALI, Indonesia, November 21, 2011 (ENS) – By 2050, a family of chemicals used for cooling, firefighting and insulation could be responsible for greenhouse gas emissions equal to all today’s global emissions from transportion, unless quick action is taken, according to a new report from the UN Environment Programme released today. Based on the report, UNEP is warning that the two degree Celsius climate target set by governments at last year’s climate summit in Cancun, Mexico is at risk from the rising use of ozone-friendly chemicals that also are potent greenhouse gases. The chemicals, known as hydroflurocarbons, or HFCs, are now used as replacements for two other families of chemicals that have already been phased out or are now being phased out to protect the ozone layer. This layer of the atmosphere filters out the Sun’s harmful ultraviolet rays. HFCs do not deplete the ozone layer but they are potent greenhouse gases. HFCs are increasingly being used as substitutes for chloroflurocarbons, or CFCs, which were phased out as of 2010, and also for the first set of replacement chemicals called hydrochlorofluorocarbons, or HCFCs. The new report, “HFCs: A Critical Link in Protecting Climate and the Ozone Layer,” was launched today in Bali at a meeting of the Parties to the Montreal Protocol, an international treaty that governs the emission of ozone-destroying chemicals. The report is the first of three that UNEP is releasing this week in advance of the two-week UN climate convention summit in Durban, South Africa from November 28. Indonesian Environment Minister Balthasar Kambuaya opened today’s meeting of the parties by introducing a draft Bali Declaration that focuses on the way forward for the transition towards low global warming potential alternatives to ozone-depleting substances, and encouraged parties to support it. HFCs are “excellent substitutes for use in refrigerators and industrial air conditioners,” the UNEP report states, adding that the contribution of HFCs to climate forcing is currently less than one percent of all greenhouse gases. 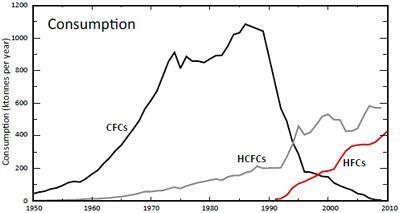 But levels of HFCs are rising as they replace HCFCs. 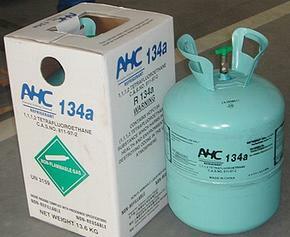 HFC 134a, the most popular type of HFC, has increased in the atmosphere by about 10 percent per year since 2006. Due to rising demand for cooling, firefighting and insulation in emerging economies and a global population now above seven billion, the UNEP report projects that by 2050 the consumption of HFCs will exceed the peak consumption level of CFCs in the 1980s. 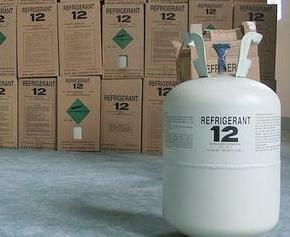 There are climate-friendly HFCs that have short lifetimes in the atmosphere – lasting months rather than years. 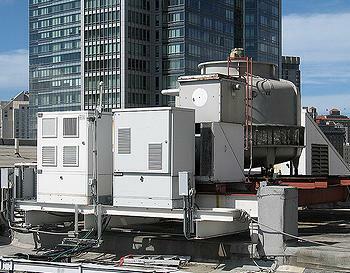 Some of these are being introduced, such as HFC 1234ze in foams and HFC-1234yf for mobile air-conditioners. Alternative methods and processes range from improved building design that reduces or avoids the need for air conditioners to fiber rather than foam insulation materials. The report points out that the introduction of alternatives to climate-damaging HFCs could be accelerated and fast-tracked with further technical developments backed by standards, investment incentives and training for technicians and workers. Another possibility for protecting the climate and the ozone layer lies in coordination of two international treaties. HFCs are, along with carbon dioxide, methane and other gases, controlled under the UN’s Framework Convention for Combating Climate Change and its Kyoto Protocol. Measures to protect the ozone layer are carried out under the Montreal Protocol on Substances that Deplete the Ozone Layer. While there is some concern that replacing HFCs may lead to lower energy efficiency, recent studies have shown that a nunber of systems using substances with low global warming potential have equal or better energy efficiency than systems using HFCs with their high global warming potential. Concerns that the Earth’s stratospheric ozone layer could be at risk from CFCs and other chemicals used in human activities were first raised in the early 1970s. Scientists warned that the release of these substances into the atmosphere could deplete the ozone layer, hindering its ability to prevent harmful ultraviolet rays from reaching the Earth. They warned that a thinning ozone layer would negatively affect ocean ecosystems, agricultural productivity and animal populations, and harm humans through higher rates of skin cancers, cataracts and weakened immune systems. In May 1981, the UNEP Governing Council launched negotiations on an international agreement to protect the ozone layer and, in March 1985, the Vienna Convention for the Protection of the Ozone Layer was adopted. The Convention called for cooperation on monitoring, research and data exchange, but did not impose obligations to reduce the use of ozone-depleting substances. The Convention now has 196 parties. In September 1987, the Montreal Protocol on Substances that Deplete the Ozone Layer was adopted. 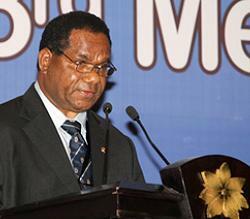 The protocol introduced control measures for some CFCs and halons for developed countries. Developing countries were granted a grace period allowing them to increase their use of ozone-depleting substances before taking on commitments. As of September 16, 2009, all countries in the United Nations ratified the original Montreal Protocol, and the Protocol currently has 196 parties.